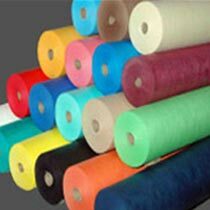 The company is a well-known Manufacturer, Supplier and Exporter of Non Woven Products. The range of Non Woven Products made available by the company is manufactured using high quality materials and is hence, extremely durable. We make Non Woven Products available at the best prices in the market. Our range of Non Woven Products includes Non Woven Bags, Non Woven Covers, Non Woven Fabric, Non Woven Home Furnishings and Non Woven Hygiene Products. The company makes available high quality Non Woven Fabric. The range of Non Woven Fabric made available by us is used for several products. Non Woven Fabric made available by us is high on owing to the high quality and durability. We provide Non Woven Fabric at the best prices in the market.